Drum Café isn’t a coffee shop or a restaurant. In fact, it’s not even a place — it’s an experience. We travel throughout the country, educating, motivating and entertaining. Teaching harmony and inspiring people to transcend the barriers that divide us through music. So invigorating, your corporate team, school or non-profit group will leave wanting more! 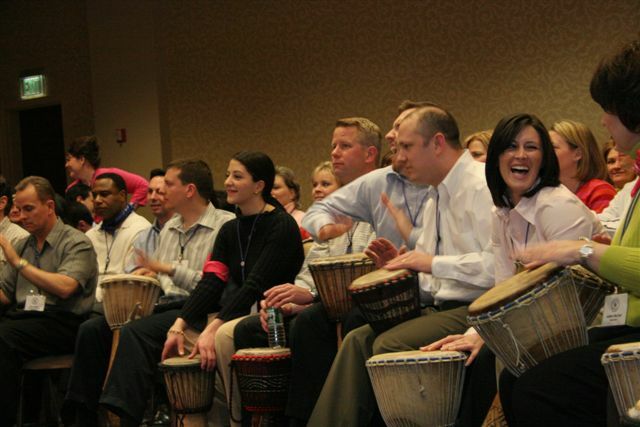 No matter the size of your event or which team bonding activities and interactive drumming program you choose, executives, employees and students always leave with plenty to smile about and even more to think about. Don’t be surprised if they beg you to invite us back! 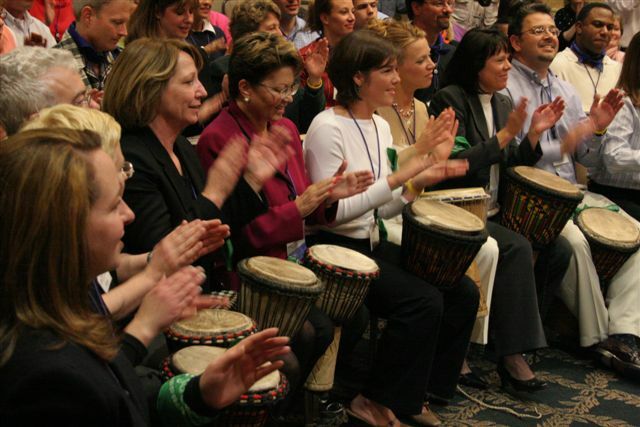 Our corporate drumming events and hands on team building activities fit any budget.Find out what we can bring to your next event.